Citrus flavonoids are a natural ingredient sometimes added to weight loss pills. They are listed on product packages under many different names as this substance is known by a range of common names and technical names. Among them include bioflavonoid extract, citrus bioflavonoid extract, citrus flavonoids, hesperidina, hesperidin methyl chalcone, bioflavonoid concentrate, bioflavonoid complex, citrus bioflavonoids, and more. Citrus flavonoids is among the most common names for this ingredient because it indicates its source. It is mainly found within citrus fruits. It has been used as a natural medicine for a range of different purposes. 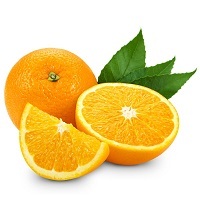 While some applications use citrus flavonoids on its own, others combine it with other forms of bioflavonoids, such as diosmin. That combination is most frequently used for issues with blood vessels such as varicose veins, hemorrhoids and venous stasis (poor circulation). Citrus flavonoids may indeed help to improve blood vessel function. Moreover, they may also have an inflammation reducing effect. So far, research has shown that this ingredient may be helpful in treating poor circulation in the legs. This application combines the ingredient with other substances as well. There isn’t any solid research to suggest that it would produce this benefit if used on its own. That said, research does indicate that citrus flavonoids may be helpful in treating hemorrhoids when combined with diosmin. This combination has helped to help to stop hemorrhoids from getting worse and can help to prevent them from returning once they have healed. Research has shown that citrus flavonoids can be helpful in correcting leg ulcers resulting from poor circulation, again when combined with diosmin. This treatment is typically around two months long when used in combination with compression dressings. On the other hand, studies have also indicated that using this ingredient for many other purposes for which it is often applied is possibly ineffective. This includes using this substance for treating high cholesterol and using it to help to lose weight. Studies that tracked the use of citrus flavonoids for 12 weeks concluded that the supplementation did not cause weight loss in individuals who were modestly overweight. Other conditions for which this ingredient is often used but for which there is insufficient evidence to support that use include: diabetes, high blood pressure, arm swelling (lymphedema), varicose veins, and rheumatoid arthritis, among others. Though some preliminary research has been conducted for those purposes, they are long from conclusive and more study is needed before they can be deemed effective or ineffective.